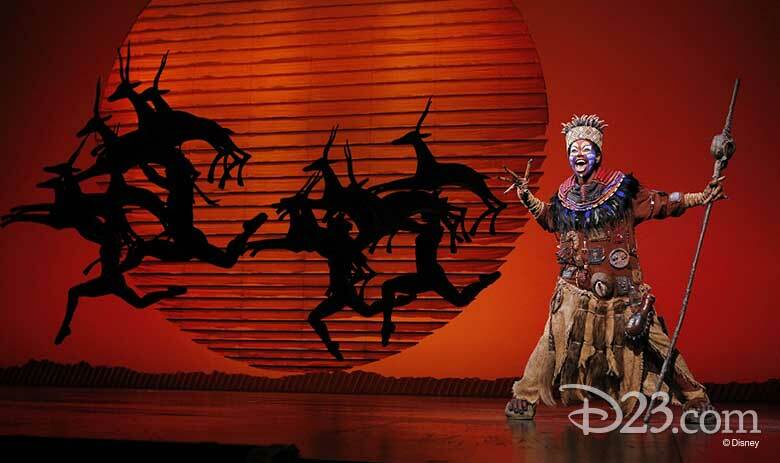 D23 Gold and Gold Family Members are invited to the great white way for an exclusive, behind-the-scenes experience celebrating the fan-favorite musical The Lion King on Broadway! The D23-exclusive event will begin with a one-of-a-kind backstage experience at the New Amsterdam Theatre. This is not your ordinary Behind-the-Magic Tour, as attendees will be among the first public guests to tour the offices of Disney Theatrical Group, located on the top floors of the theatre. While in this backstage location, New Amsterdam Theatre tour guides will share stories about the legendary Ziegfeld Follies and additional history about this spectacular venue. 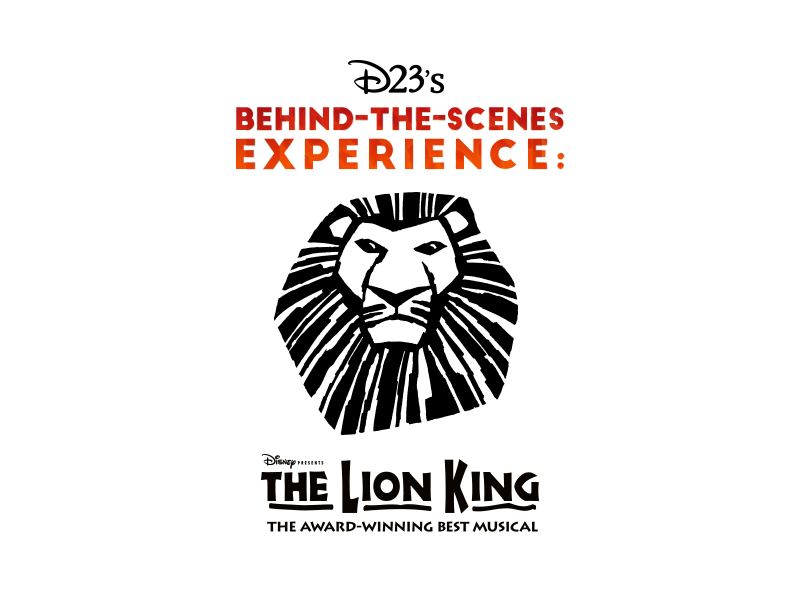 Plus, D23 guests will have the rare opportunity to get up close and personal with costumes and props from current and past Disney on Broadway productions—including The Lion King! Following the behind-the-scenes experience, D23 attendees will walk to a nearby restaurant in Midtown to enjoy a delicious dinner. 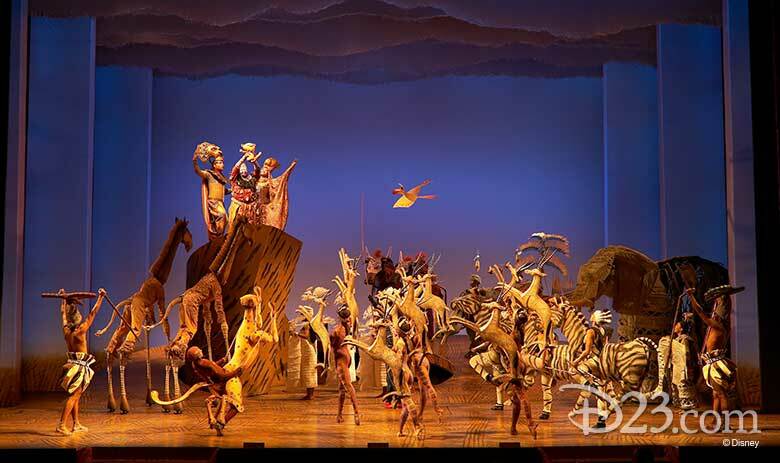 Then, the group will travel on foot to the Minskoff Theatre and be seated in Premium Orchestra level seats (located in the first eight Orchestra Center rows) for the 8 p.m. showing of The Lion King. Plus, all D23 attendees will receive a commemorative Disney’s The Lion King on Broadway keepsake! Check-in will begin at 3:45 p.m., and the behind-the-scenes tour will begin promptly at 4 p.m. and the event will conclude at the end of The Lion King 8 p.m. performance. D23 Members must log in by using their D23.com Gold Member account information when reserving tickets. D23 Members who do not bring their membership card and tickets will not be admitted to the event. Due to the nature of this behind-the-scenes experience, all guests attending this event must be 10 years of age or older. This event does not include transportation, and guests will walk to and from each location rain or shine. PLEASE BE ADVISED: Filming, photography, and other recording will take place at the New Amsterdam Theatre, Minskoff Theatre, and New York restaurant during the event you will be attending. By entering the premises, you irrevocably consent to and authorize The Walt Disney Company, its affiliates, successors, and assigns (collectively “Producer”), to photograph you, make sound recordings of you, and use such photographs and recordings throughout the world, for any purpose whatsoever in perpetuity, including, but not limited to, television broadcasts and home entertainment products, including, but not limited to, home video and DVD. All such photographs and sound recordings will be the sole property of Producer. Sign in to your D23 Gold Member account for eligible tickets. © 2019 Disney D23. All sales are final. Tickets are non-refundable.